In addition to a new desk, I’ve been sorely in need of a new cutting table. For years, I’ve had a cutting table that has sides that fold down and was made with the express purpose of being a cutting table. I bought it at the craft store. It has a matching cutting mat. And it did a good job, aside from being a little wobbly, until one day when it decided to disintegrate. Literally. It just fell to pieces. I wanted to replace it with something that didn’t wobble, had lots of space, and was cheap. 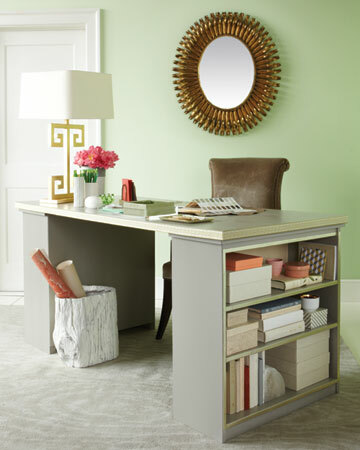 As with my quest for the perfect desk, I turned to Pinterest for cutting table inspiration. I found lots of versions of the same basic table: put a table top or hollow core door on top of some book cases or cubbies. So simple, so affordable. I bought some semi-sturdy looking bookcases, instead of the super cheap ones recommended in many of the examples on Pinterest, as I’ve had a bad experience with a cheapy Walmart bookcase disintegrating on me in the past. (I’m noticing a theme here… maybe it’s me… or maybe I need to just stop buying bottom-of-the-line furniture.) For the table top, I bought the biggest unfinished hollow core door available. My cutting mat is 36″ tall and fits perfectly on the door. Also, a 36″ by 80″ door is HUGE. Just so you know. I knew this, intellectually, but it took on a different meaning when I got the door into my home. I will never lack for cutting surface. I sanded, primed, painted, and sealed my door, so that my table would look like a nice, finished piece of furniture, instead of, you know, a door slapped on top of a couple of bookcases. I’m pretty pleased with how it turned out. I’ve got a big, sturdy table and some extra storage space underneath. I chose not to attach the door to the book cases, so I can disassemble the table and move it easily when I need to. I have a thin layer of grippy shelf liner on top of each of the book cases to eliminate any possible slippage. 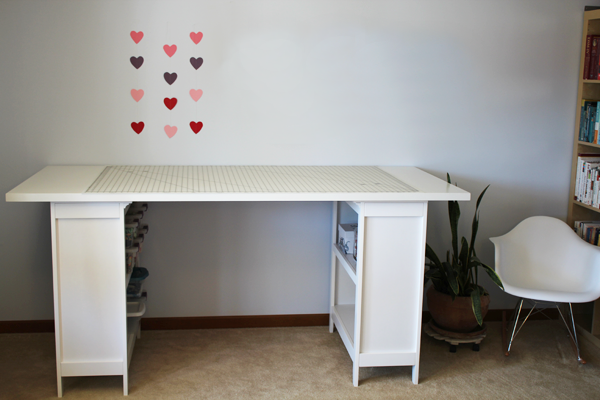 If you are interested in seeing more ideas for a great craft room, follow my Pinterest board Craft Room Inspiration. 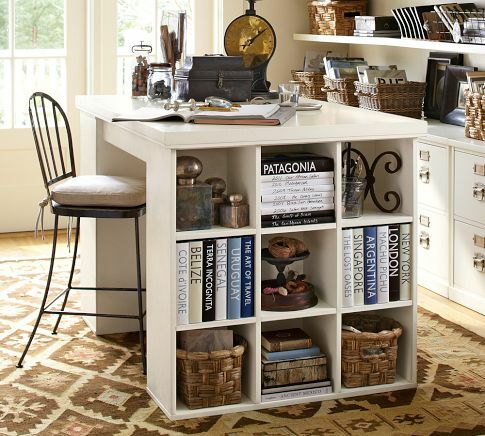 It’s full of ideas for desks, cutting tables, file cabinets, bulletin boards, and everything else you need in a great craft room. Creative Space: A New Desk Desk Update Rotary Cutting Peoria Heights Art Fair Tomorrow! 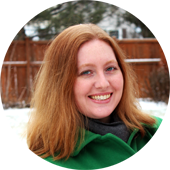 I’m possibly getting a new sewing room this summer (moving from the extra bedroom to the basement…if we manage to finish the basement), so it’s been really great to see your recent updates! Lots of good inspiration. I’m glad they’re helpful! 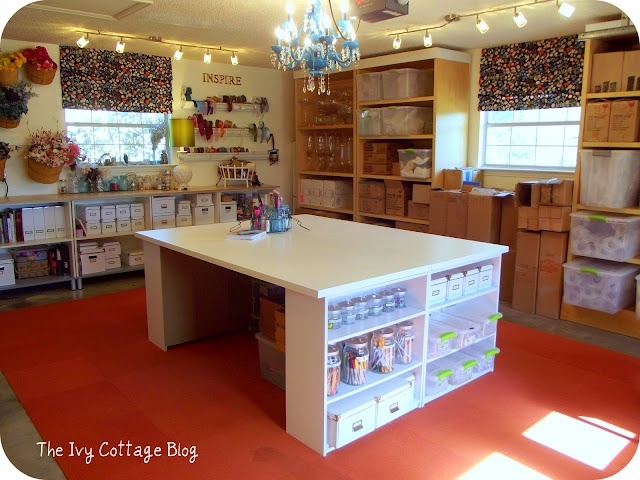 Looking for inspiration is half the fun, I think… and there are so many beautiful sewing/craft rooms that people have shared online. Love the idea of the table. I was using a quilting cutting table but that finally gave out. Will have to try this idea.